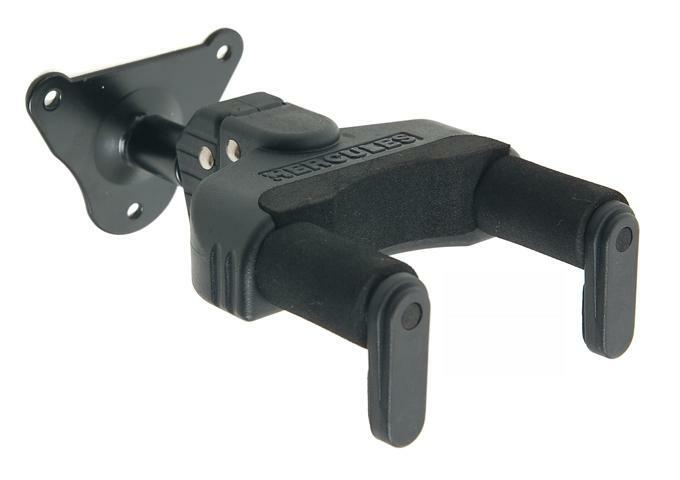 All HERCULES guitar stands and wall mounts are equipped with soft foam supports to protect your instrument from damage. These supports are free of plasticisers and have shown no signs of reaction with many different lacquer finishes in long-term tests. However, discolourations on sensitive lacquer surfaces (e.g. nitrocellulose) cannot be completely ruled out. We accept no liability in such cases. In order to completely rule out damage of this type, cover parts that come into direct contact with the instrument with a soft, natural fibre cloth (cotton, silk, etc.). This way discolouration can be easily avoided.